Gallery 1 of the new Canadian History Hall will be named in honour of the Rossy family. 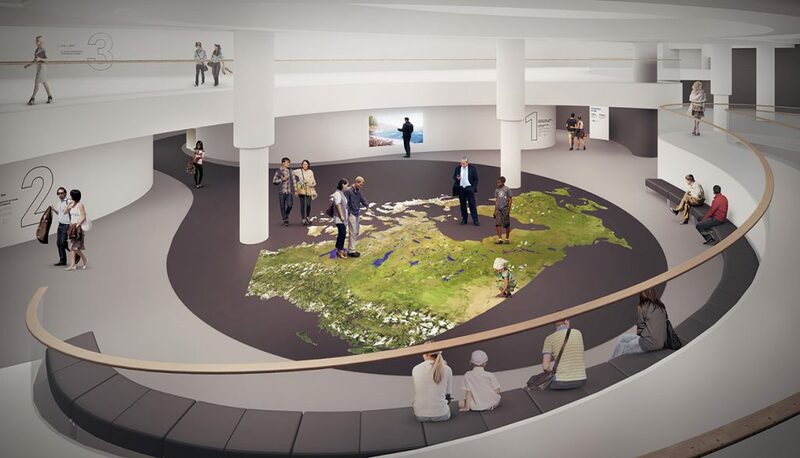 The new Canadian History Hall is designed to inspire — from the beautiful open space to unique and fascinating artifacts, from cutting-edge interactives to multimedia presentations. But even before it opens, the Hall is already inspiring very welcome generosity. The Museum is delighted to announce an unprecedented gift of $3 million from The Rossy Family Foundation. In their honour, Gallery 1 of the new Hall will be named the Rossy Family Gallery. The Rossy Family Foundation supports non-profit organizations that are active in the areas of arts and culture, education and health care. The Rossy Family Foundation is particularly interested in improving the lives of Canadians through strategic donations in support of health care, education, the arts and Canadian civil society. Fittingly, a third of the family’s gift to the Museum is being directed toward education programs: the Rossy Family Canadian History Hall Education Project Fund at the Canadian Museum of History. This three-year initiative will see new programs in the Hall, outreach through a broadening of digital capacity and a more physically robust travelling component specifically designed with schools in mind. The Rossys have made sure the Canadian History Hall will be a vibrant and exciting exhibition for many years to come. And thanks to them, the Museum’s ability to provide curriculum-connected programming is likewise ensured.